Would you like your child to have more confidence, peace of mind, inner strength, or the ability to learn new skills effectively? Come visit the J.R. Roy Martial Arts Studio and learn how our non-violent approach to martial arts can be applied to everyday life. We invite you to a free youth karate class for ages 7 – 13 on August 30 from 4:30 to 5:30 pm. 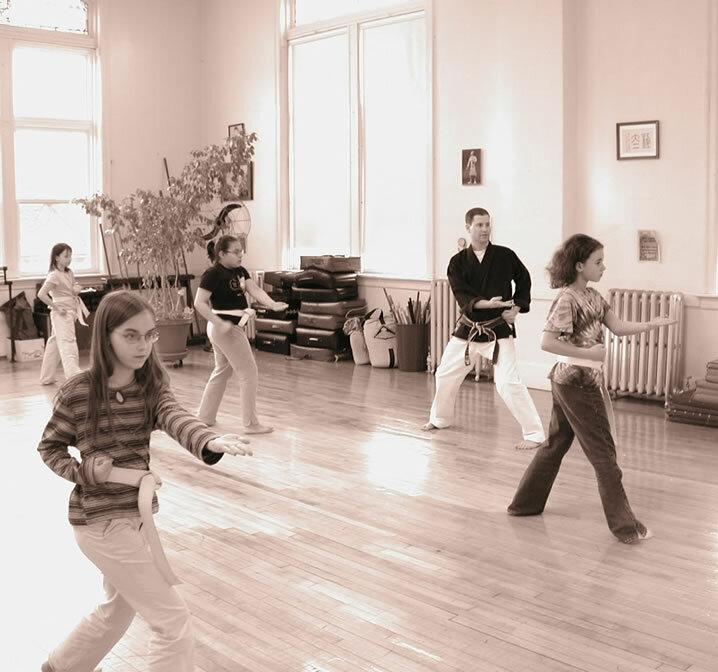 In a relaxed, focused and highly supervised environment, children are challenged by the physical and mental self-discipline found in martial arts practice. Our teaching stresses respect for ourselves and others, nonviolence, compassion, and tolerance. Our classes explore practical methods for resolving conflicts nonviolently. We encourage independent thinking, creativity, hard work, and communication. We stress the importance of applying oneself with maximum effort towards a goal. The J.R. Roy Martial Arts Studio specializes in teaching the art of Karate-Do that exists beyond kicking and punching. Anyone who signs up for a 1-month membership or more on the day of the event will receive a free $35 uniform. Class size is limited to 20 students, so sign up today!